My friends and I were sitting around yesterday having a casual conversation about how the one thing all great actors have in common is that they have all starred in at least one classic piece of cinema. For my good friend Al Pacino it's obviously The Godfather and Dog Day Afternoon. For Robert De Niro there's Raging Bull and Taxi Driver. And for Diane Keaton, a no-brainer: Annie Hall. The one actor who truly stumped us, however, was me. Now, I know I'm a good actress. I'm Meryl Streep. I've won two Academy Awards, and I have been nominated for 15. That's a record. But what my friends and I figured out is that the name Meryl Streep isn't really synonymous with one truly unforgettable film. It's weird to think about, but it's undeniably true. Go ahead, try and name a classic movie I've starred in. Not a classic character I've portrayed, mind you, but an overall amazing piece of cinema. You can't. You just can't. Right off the bat, you're probably thinking Kramer Vs. Kramer. That's what my friends and I immediately jumped to also! But let's be honest, Kramer Vs. Kramer isn't really a masterpiece in the same way that, say, The French Connection or On The Waterfront is a masterpiece. It's not a bad movie by any stretch of the imagination; it's actually pretty good. I'd watch it if it were on. But if anything, it's more Dustin Hoffman's movie than Meryl Streep's movie. And when you think Dustin Hoffman, Kramer Vs. Kramer is a distant fourth behind The Graduate, Tootsie, and Midnight Cowboy. Look, I'm not trying to ruffle any feathers here. I'm just calling it like it is. Of course, next Sophie's Choice comes up. Sure. Absolutely. That makes complete sense. But have you actually watched Sophie's Choice lately? Boy, talk about a movie that has not aged well. My performance is very good. No question. Oscar-worthy even. But if it weren't me delivering those long monologues, people would see Sophie's Choice for what it really is: a fairly routine melodrama, with a Holocaust backstory thrown in to make the love triangle seem less banal. I looked at AFI's top 100 movies list and Sophie's Choice was No. 91, behind Forrest Gump and The Sixth Sense. And truthfully, all I could say was, "That's about right." So now is when you have to start really digging into my filmography because you're starting to think, "Can it be true that one of this generation's greatest actresses, maybe even the greatest—a national treasure, you might say—has never been in a film as good as Network, which isn't even Faye Dunaway's best movie?" The Deer Hunter. Yes! Actually, no. A couple things bother me about The Deer Hunter. One, it's overrated. Yes, I said it. And two, how long was I in the The Deer Hunter? Three, maybe four minutes? Truthfully, I don't really remember being in the The Deer Hunter at all. (Same goes for Manhattan.) Then there's Out Of Africa, which, come on. We all know that movie was kind of the worst. That and The Bridges Of Madison County…don't even get me started on The Bridges Of Madison County. Marvin's Room? We're scraping now, aren't we? Doubt. Yeah, 20 years from now people are definitely going to be talking about the film adaptation of Doubt. The River Wild. Look, I like The River Wild. Solid thriller. Good cast. Not a classic. Oh, and for those of you who want to say The Devil Wears Prada? Please. I don't need your charity. The annoying thing about all of this is that I've worked with directors who have produced some of the finest films in American cinema. I'm just not in any of them. I do a movie with Robert Altman, but it's A Prairie Home Companion. Mike Nichols calls me up, not for Carnal Knowledge, but Heartburn. Does anyone in the world other than Mike Nichols own the DVD of Heartburn? So here we are. I'm 60 years old without a One Flew Over The Cuckoo's Nest or Bonnie And Clyde to my name. 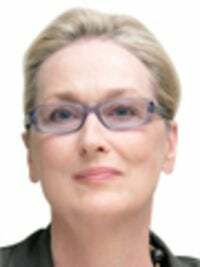 Meryl Streep: "Great actress, okay movies." And by the way, The Manchurian Candidate is not a classic. Well, at least not the one I was in.